I have a very busy week this week. I am running quite a bit so this will be a quick post. 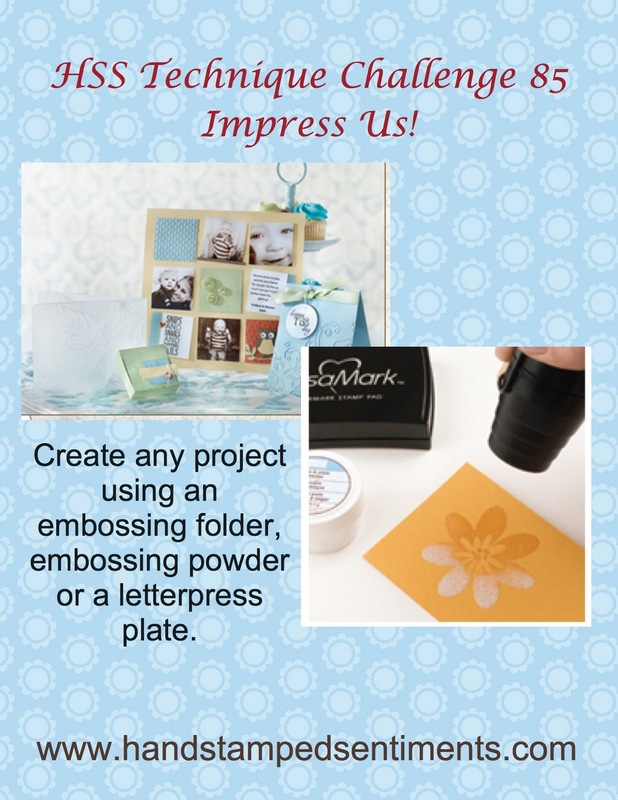 We have a great challenge at Hand Stamped Sentiments. We are do some embossing! I love using my embossing folders so this was right up my alley. I decided to use a folder I have not used in a while – polka dots! I love polka dots so that was an easy decision. Here is what I created for our challenge. I used 2 new in colors – Calypso Coral and Pool Party. Love these color together. Want to see some other gorgeous creations? 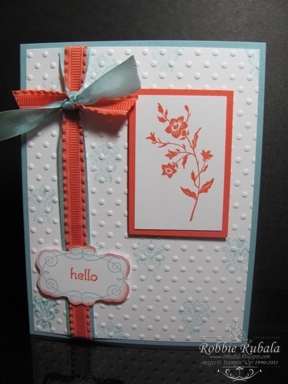 Head on over to the Hand Stamped Sentiments blog to see what the other design team members created. Thanks for coming to visit and have a Terrific Tuesday! What a sweet little card. I love the colors and the way you did the ribbon layered like that. There is nothing like a white panel with the polka dots either. So clean and fresh! Robbie, love the colors on this card as well as the charming image. You and Genny were on the same wavelength this week. Beautiful card! Robbie, I can't believe we both used the Charming set for this challenge. 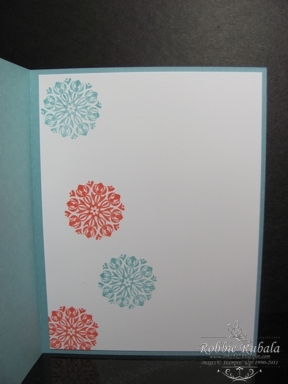 I love the color combo and the layout makes for a very pretty card. This is really a pretty card. I love the clean lines. The inside is pretty too.